Whenever someone menti0ns survival kits, most of us immediately think of a knapsack full of stuff you need if you find yourself in a survival situation. But packing in an entire survival kit sometimes is not necessary – or practical. Often, for example, I fish in accessible, but relatively remote areas that require up to a mile walk in the woods to get to the pond or lake. Having one more thing to haul around on a day trip is just a pain in the … well, you know. This is where an Altoids Tin Survival Kit comes in. In that tin, I can store fire starter, water purifier, a whistle, duct tape, bandages, a signaling mirror, etc. It's not enough to get me through several days, but it is enough for a mini survival episode. 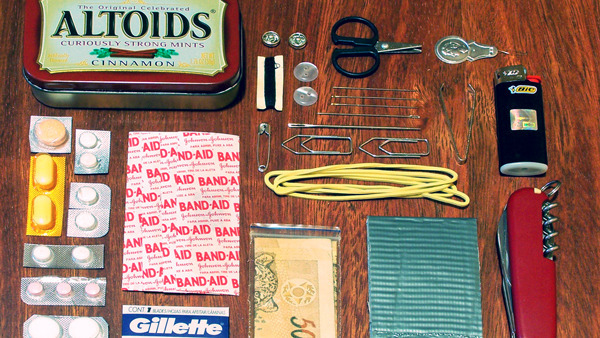 To see how to set up your Altoids Tin Survival Kit, check out the next page. If I lost all my gear but still have this,im still in the game.